Sat 30 April 2019 "Rory Gallagher's Acoustic Styles and Techniques" Free workshops at Musicroom London, Denmark Street. More details coming soon. 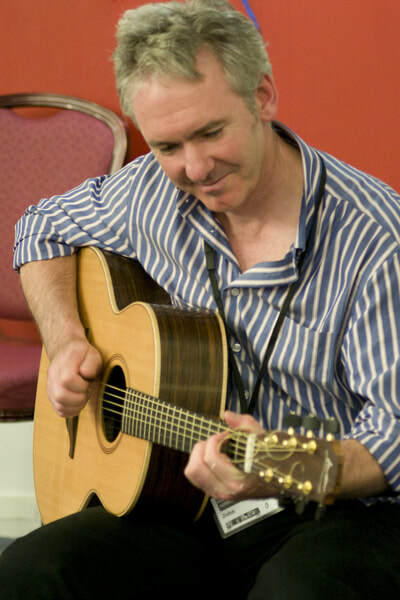 Guitar Workshop at the UK Guitar Show - London Olympia - Sat 29 Sept 2018 - "Rory Gallagher's Acoustic Styles and Techniques"
"Introduction to playing Scottish & Irish traditional tunes on guitar"
The Rae Macintosh shop is where my first ever guitar was bought for me and so I am delighted to be giving this workshop. In the 2 hours we will focus on how to play Scottish and Irish traditional jigs and reels and slow airs on the acoustic guitar. It is aimed at beginners to intermediate players, but that is all relative. You could be a great jazz or blues player but have never attempted flatpicking celtic reels or you could be very comfortable playing rhythm guitar in an Irish session but need some pointers as how to play the melody. There will be be handouts of some copies of tunes in tablature/ notation as a reference - but the ethos is learning by ear. 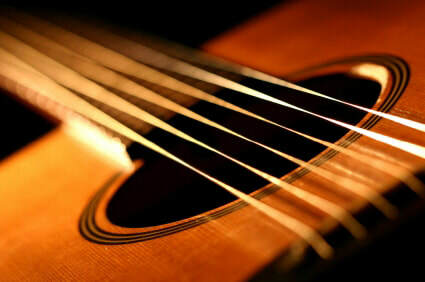 "Playing Irish & Scottish traditional tunes on guitar"
This workshop will focus on how to play Irish and Scottish traditional tunes, jigs and reels on the acoustic guitar. John's recent book and CDs highlight just what a powerful instrument the guitar can be when playing jigs, reels and slow airs. 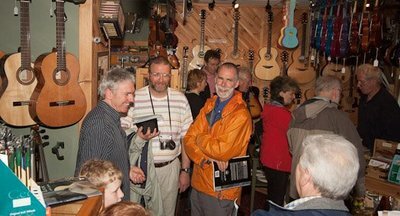 It will be of interest to all guitarists who would like to develop a good technique for playing traditional tunes on the guitar - be they Scottish or Irish tunes - or in the English or Bluegrass traditions. It will look at popular fiddle tunes and the emphasis will be very much on learning by ear. There will be copies of tunes in tablature/ notation as a reference, but to get the most out of the day come along and don't expect to be reading music - this is very much part of the traditional approach! 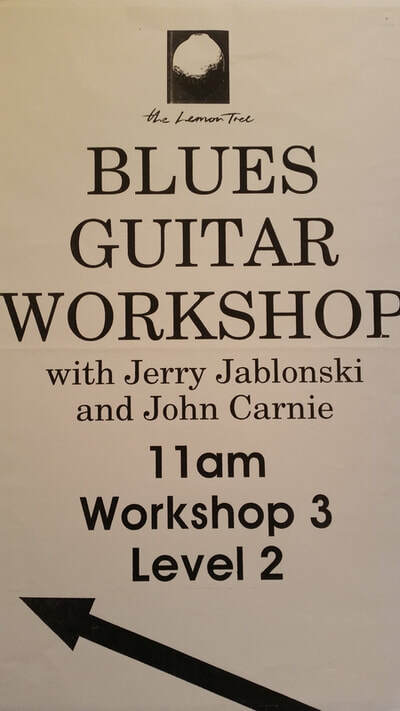 The workshop will have an emphasis on flatpicking the tunes in standard tuning. However it is also very relevant to finger picking and thumb picking and indeed we will look at hybrid right hand techniques. The workshop will cover a lot of other ground and we will discuss handy hints on chords and accompanying the playing of celtic music on the guitar and backgrounds on the various styles. 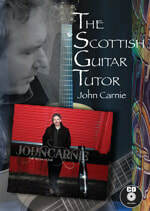 ​John Carnie is the author of the Scottish Guitar Tutor Book and has written for various publications on folk and blues. He is experienced in leading guitar workshops and masterclasses and in a variety of styles. 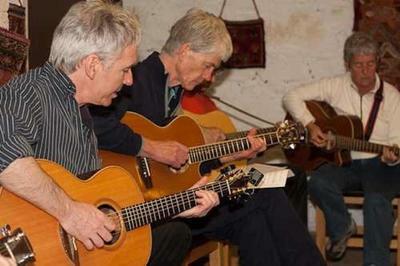 He was the principal guitar instructor at the Living Tradition Summer School and taught at Scottish Culture and Traditions for many years before becoming a board director of the organisation.